I wrote my first blog SabahSongs from 2009-12. It was about people working in the field of music in Sabah, on the island of Borneo, where I was living at the time. When I said I was moving to Australia, readers of the blog asked me to turn it into a book. Eight manic weeks later, I was the author of a beautiful hardback book. The blog was about people working in contemporary music, as opposed to traditional/cultural music. So we’re talking rock, blues, jazz, Chinese orchestra, and metal. I met so many gentle, interesting and talented people whom I could never have hoped to meet without the conduit of music. Together we all made something beautiful. Datuk CL Chan of Natural History Publications (Borneo) recognised the support for the blog and for this book, and said he would publish it under his Opus Publications label without any cost to me. But I had to find the money to pay for the book to be printed. Music is not under the publisher’s usual remit and the Datuk wasn’t confident how to go about marketing this book. Raise money to pay a printer in three weeks. I made cold calls and wrote emails. The Minister of Tourism, Culture and Environment for Sabah immediately declared his support with a large order, and I was then able to lead a sort of crusade to make the book SabahSongs: Contemporary Music in Sabah happen. In the end, three government sponsors and six corporate sponsors were associated with the book, along with two media supporters. This book is now a ministerial gift representing the state of Sabah, given to visiting dignitaries and taken abroad. It’s a 250-page book and was printed in Taiwan. 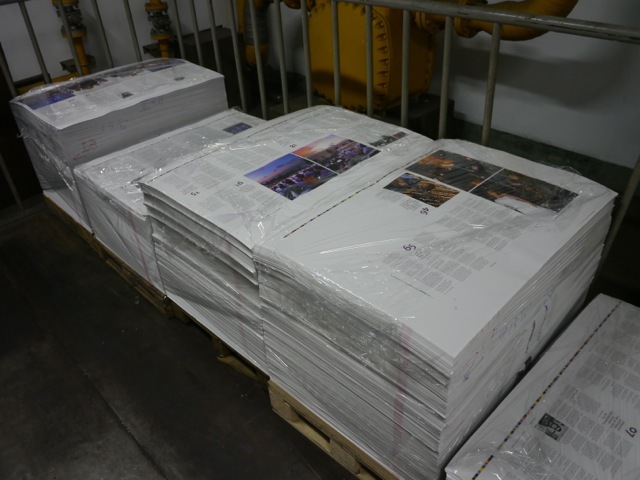 Because of the time pressure NHP ordered a special coating which dried the ink quickly and gave the pages a glossy finish. Although the book has big, beautiful photographs of music events and artists, there are also over 150 pages of interviews with musicians, sound engineers, lighting engineers, luthiers, academicians, composers and conductors, and reviews of events ranging from classical concerts to thrash metal gigs. The Minister officially launched my book two days before my son Miles and I flew to Brisbane to join my husband Mike. The friends who rode the roller coaster with me from the book’s conception to the launch party, are bonded with me forever. I have gone from a sub-editor of financial news (16 years) to passionate music blogger (3 years) to published author, non-fiction (8 weeks). If you want to do something, just do it. If your work has merit it will be acknowledged. If you wait to be paid first, you might never start. 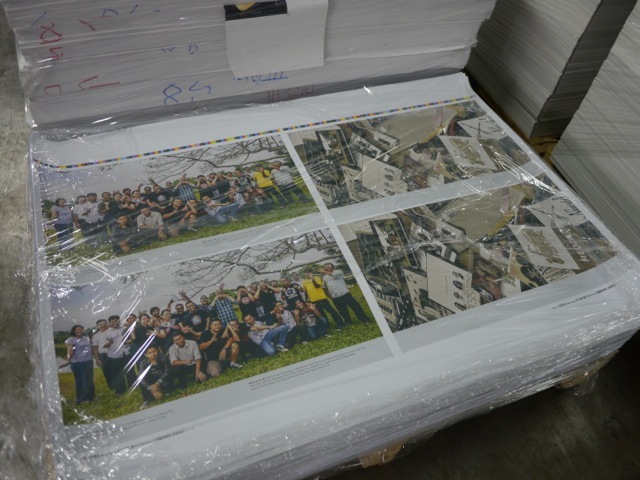 The first book pages being printed in Taiwan! 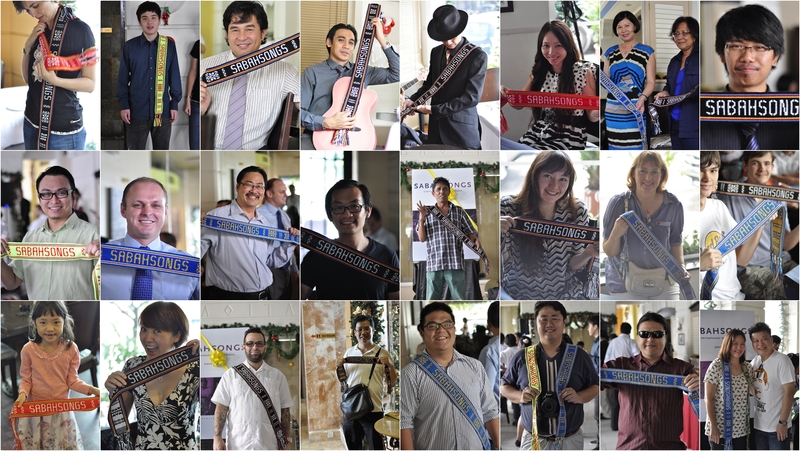 Some of the musicians featured in the book, with me at Likas park in Kota Kinabalu. 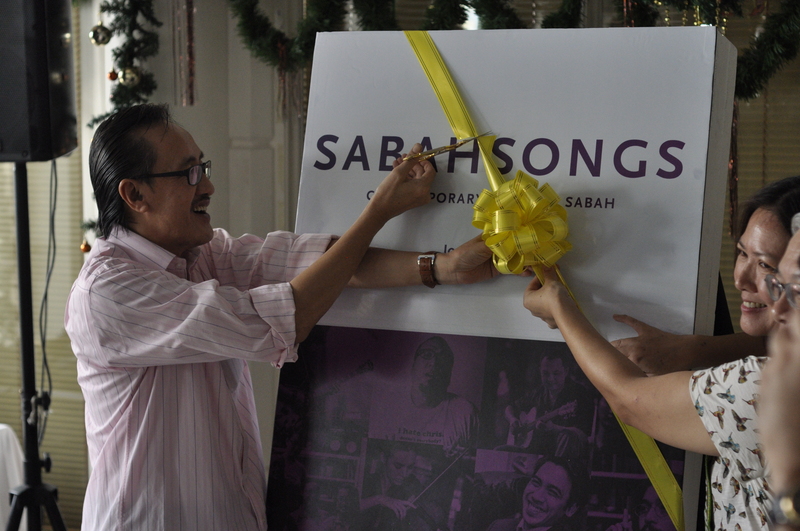 Next Next post: Grammy award-winning U.S. folk musos presented with the SabahSongs book!